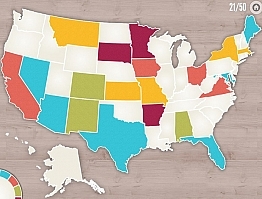 Little States is a beautiful iPad App that makes it fun to learn your US states and capitals! 2. Matching Game - flip the cards and make a match to reveal the name of each state. 3. 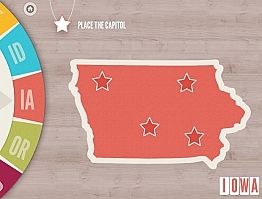 Place the Capital - place the capital in the correct location for each state. 4. Scratch the Seal - rub the seal to reveal the state seal. 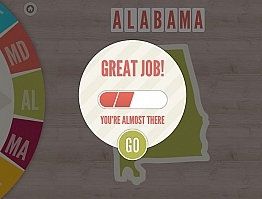 After you earn the state puzzle piece you then get to locate it and place it on the USA map. Earn and place all 50 state pieces to complete the game.